One day, I took my little sister to the park. The colorful rides blew her away. She was particularly interested in the rainbow-colored covered slide. She ran, climbed the multicolored ladder and jumped into the mouth of the slide with the biggest impish glee I have ever noticed. I waited at the other end prepared to laugh as she landed in the sand. It took longer than I had expected for her to reach down and she darted out sulking, not smiling. Apparently, she got stuck at the top itself and had to wriggle down the first half and then slipped down the rest of the ride. Nobody likes that. Nobody likes getting stuck at the top of the slide, or the funnel and then being rushed through the rest. DO NOT let your audience get stuck at the top of the funnel and DO NOT get them to the bottom without letting them perceive exactly what is going on throughout the journey. ”What I cannot create, I do not understand,” scribbled physicist Richard Feynman. Reflecting that insight into the digital marketing context, let us understand the content marketing funnel and its different junctures. Fundamentally, there are three parts to the funnel abbreviated ToFu, MoFu, and BoFu. It respectively means Top of the Funnel, Middle of the Funnel, and Bottom of the Funnel. Categorizing its implications, we see that the top pertains to brand awareness or traffic to the site. The middle is for lead generation, nurturing, and understanding the prospects. The bottom is the conversion which includes paying and availing the services. Brand awareness is the name of the game and the ultimate aim. You must try to arrest your audiences’ attention with valuable, interesting content that reflects your brand and product but doesn’t sell it. Blog posts, social media publications, newsletter, et cetera are commonly found vitalities of this portion of the funnel. ANYTHING and EVERYTHING required to make a memorable first impression must be tried at this stage. Make them an offer they can’t deny. Once the audience is given some valuable content free of cost, it is now time to make them consider availing your services. This step in the funnel is all about content that makes them consider paying for your services. This is where the actual leads, the valuable prospects, are formed. This is usually put into effect by asking their permission to contact them, usually through emails. This is necessary to nurture the relationship, build rapport, and establish trust. This section also informs the audience about the problems that they are currently facing which could be solved by availing your service or product. Therefore, it is necessary to maximize the impact by having a powerful distribution strategy for your content. This stage is where the real business happens. Transactions and buying and selling. It is always better to focus on the audience’s problems and your solutions to it at this phase. Tell your brand’s story. Emphasizing the benefits of your product rather than the features it centers around projects your brand as a solution rather than a menu to choose from. This stage converts the nurtured leads into actual customers. Personalization is prime and the conversion of the audience from receivers of free, useful information from you into actual paying customers must be done with great care. Result is the ultimate motivation. 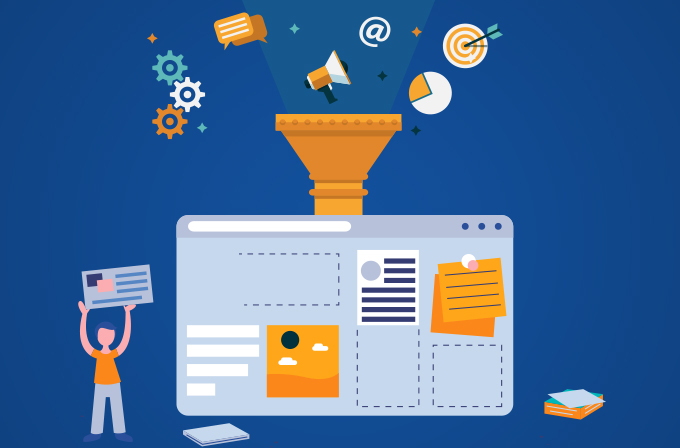 Now that we have a general overview of the content marketing funnel and its basic stages, let us delve a bit deeper into its necessity and inevitability. 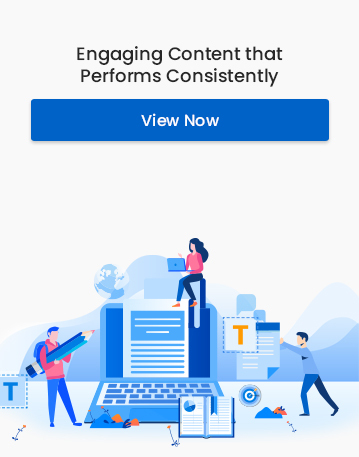 A survey by Salesforce projected that 79% of marketing leads stand no chance of conversion due to a lack of proper content and irresponsible management of the content marketing funnel. Cost effective when compared to paid ads. Improvement in traffic due to organic search. Better conversion rates (6 times better according to Content Marketing Institute). Like any marketing element, here too, the audience is the king. Make sure that every phase of the funnel and the content presented in each of them caters to the needs of the audience. Successful content also requires a complementary step prior to the actual writing – Research. Once you have established your benefitting demographics and the target audience, it is now time to search and find out the most engaging topics for them. Social engagements are an effective manner of determining this. Understanding what the audience is currently consuming and at what level will help you forego the trial and error mess of guesswork. Now, let us enumerate the type of content that goes into each phase of the tunnel. White paper and fact sheets relevant to your field. Statistical reports are accountable and, if presented in an academic format, extremely effective. Data-driven case studies and examples of success relevant to your field. E-books. This can be a part of ToFu too. Throwing in references about your product in “How-to” articles can align your brand as a solution to various problems tempting the audience to know more and ultimately purchase. This is the personalized section of your funnel as discussed earlier. MoFu content can be used here with intent for interaction. Testimonials and other proof of the relevance and success of your brand can be used here. Informative content such as classes and webinars. Discount codes for selected consumers can be given. A successful content marketing funnel is a multi-stage entity that is informative and guides the customer throughout their purchase journey. According to a study by Forrester, an average consumer refers to 11.4 bits of content before indulging in a purchase. The traffic that your content attracts is not there just to buy your product (according to Marketo). They need information, they need reviews, moreover, they need validation.